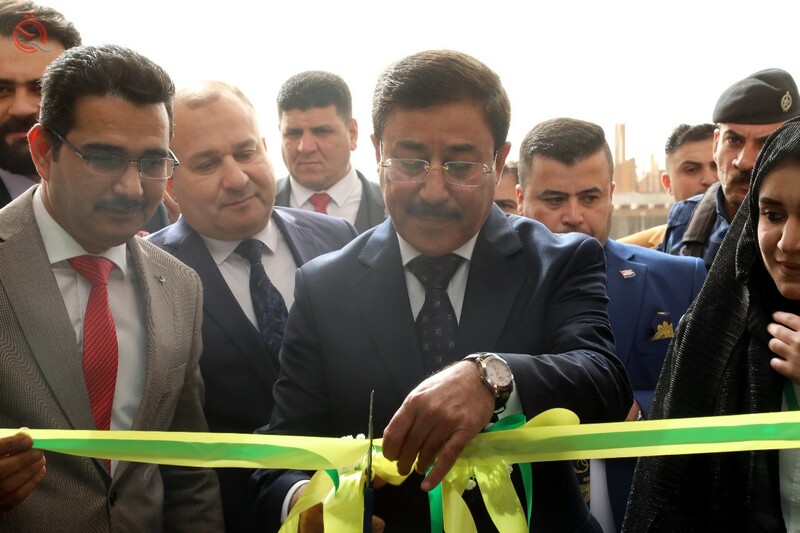 Governor of the Central Bank Ali Al-Aalak, while cutting the opening ribbon of the Academy of Special Needs Warriors and Cancer Warriors in Basra. The Academy of Special Needs Veterinarians and Cancer Warriors was opened Wednesday in the province of Basra. And evaluated the ceremony with the support of the Central Bank of Iraq and the Association of Iraqi private banks. "We are pleased to be here in the province of Basra and in this charitable gathering, where the efforts of philanthropists converge in order to achieve a humanitarian achievement, a model that can be generalized in many areas that this needs," said the governor of the Central Bank, Ali Alaq, at the opening ceremony of the academy. Country ". He added that this academy "is a solidarity of the efforts of the private sector and civil society organizations and volunteers to take fruit at maximum speed." Al-Alak confirmed that the Central Bank has decided to support Tala (the Academy's owner) since the TDX conference held in Baghdad more than a year ago. The Central Bank of Tala has found "outstanding competence worthy of support in its humanitarian bid and its ability to provide maximum sacrifice and contact with the most needy category" , According to the links. The governor of the Central Bank decided to grant Tala a car from Tamkeen fund to complete its duties at the academy. In turn, representative of the Association of Iraqi Private Banks, Ahmed Al Hashemi, said in his speech that "we are pleased to have this occasion to relate to one of the humanitarian community initiatives, namely the opening of the Center for Special Needs Warriors and Cancer Warriors, which we have supervised under the auspices of the Central Bank of Iraq to support it to this appearance that is appropriate for the sons Basra loyal. " Hashemi added that "this project is one of the projects that receive support from the Committee to support community initiatives« Tamkeen Fund », which was founded with the support and blessing of the Central Bank of Iraq and the financing of the Association of Iraqi private banks through funding from private banks deposited in this fund for the purposes of supporting community initiatives as one of the most important Objectives of spreading awareness of social responsibility and the role of partnerships in it ". He stressed that "the Central Bank and the Association of Banks are working on other projects in Basra and other provinces of Iraq all", calling at the same time, "banks operating in the city of Basra to support young people through interest in a project for financing small and medium enterprises launched by the Central Bank of Iraq, To work and develop private enterprises ". With the support of the Central Bank of Iraq and within the fund of community initiatives Tamkeen funded by private banks and exchange companies, opened on Friday, January 18, 2019 HE Governor of the Central Bank of Iraq Mr. Ali Mohsen Ismail in the province of Basra Academy of Special Needs fighters and cancer fighters, which will contribute to reducing the burden About patients .